Last night, the World’s 50 Best Bars Awards 2017 had those in the bar world at the edges of their seats (or more literally, sneakily watching the action live on their phones whilst working a shift). 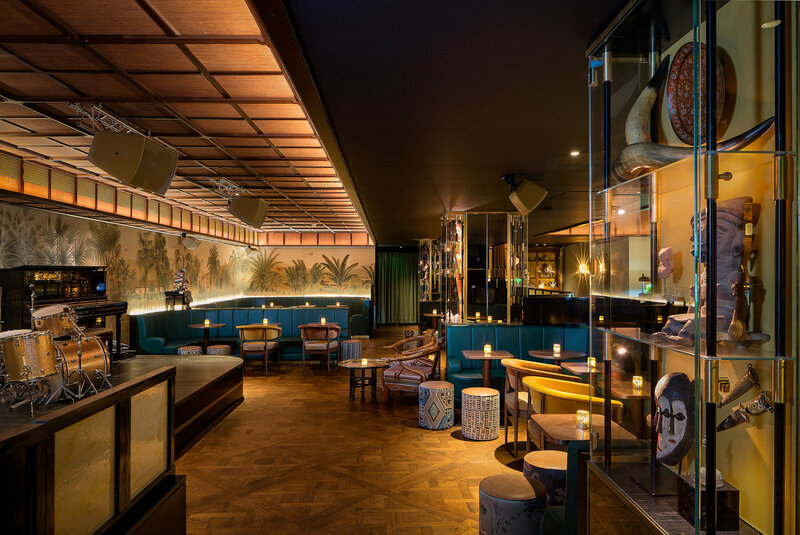 In an exciting turn of events, The Savoy’s American Bar knocked The Dead Rabbit in New York off of its top spot. Eight London bars featured on this year’s list, with three – all of which are interesting in hotels – in the top five. 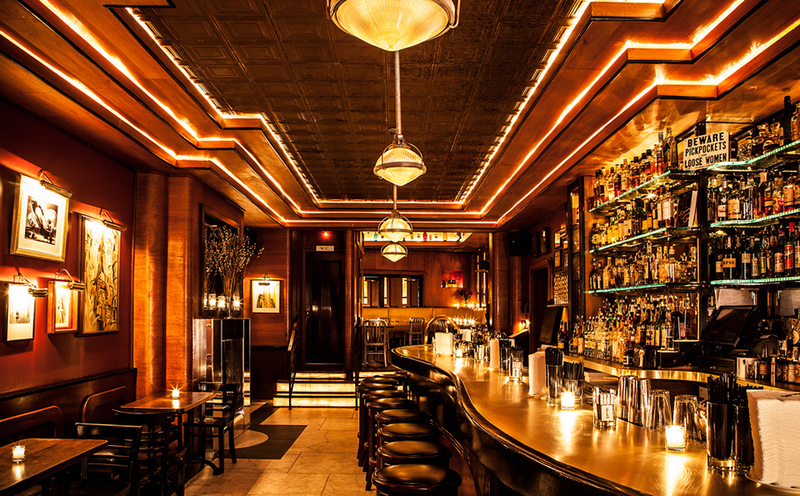 The bar has a 125 years history of making cocktails and is led by industry greats, head bartender Erik Lorincz and manager, Declan McGurk, so it’s to be expected that they know what they’re doing. This has certainly been proven by their inclusion on the top ten of World’s 50 Best Bars Awards four times, and this year they secured not only first place but also the accolade of Best Bar in Europe. The current ‘Coast to Coast’ menu is a journey across Britain from South to North, reflecting the island’s verdant landscapes through terroir and other herbaceous ingredients, as well as borrowing from its folklore and history. A firm Sated favourite, run by the inimitable Ryan Chetiyawardana a.k.a. Mr Lyan – a man with more awards to his name than probably even he can remember. We have to admit we were a little shocked when this was announced in second place, but since it has been awarded World’s Best Cocktail Bar and Best International Hotel Bar at this year’s Tales of the Cocktail Spirited Awards, as well as keeping the crown for Best Team in London at Time Out Bar Awards, we guess they won’t be overly disappointed. For those of you yet to venture down to this impressive spot overlooking the Thames, you are in for a treat. 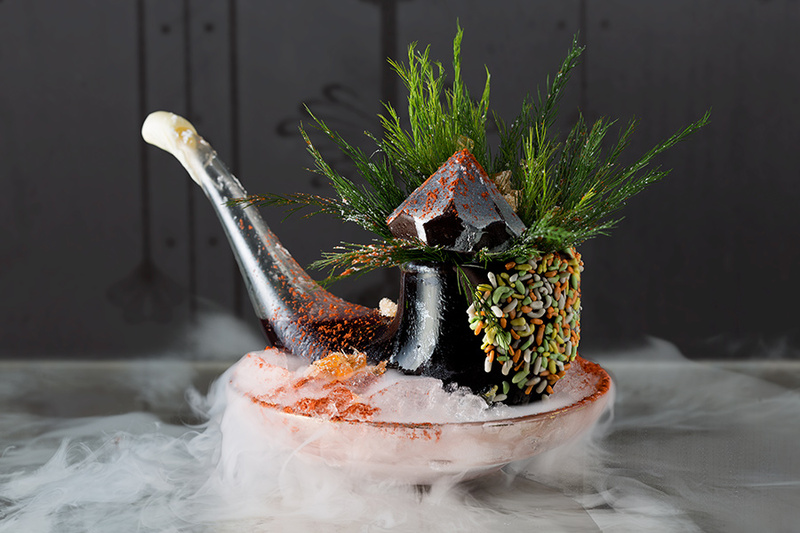 The cocktail menu, Vices of Botany, explores our love of exploitation, escapism and the full spectrum of our guilty pleasures, with innovative drinks and refined interpretations of classic cocktails that are bound to tempt even the most saintly. The third hotel bar in the top five, and certainly one to visit. 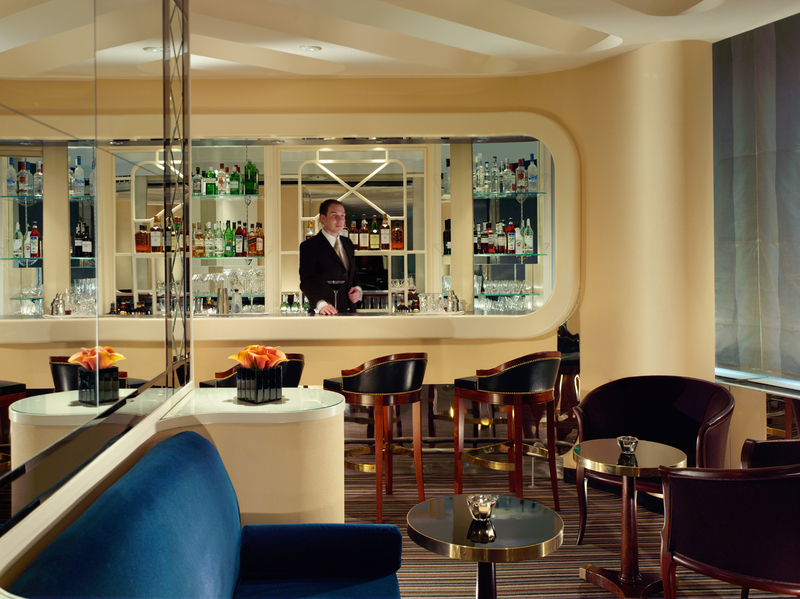 Run by director of mixology, Agostino Perrone, cocktails on offer are as glamorous as the surroundings. The menu does not shy away from either tradition or decadence, elegantly presenting classic drinks using exclusive vintages and limited editions champagnes, spirits and liqueurs, with a whole host of in-house twists. You will be forgiven if you’ve walked passed this tiny shop-front of a bar on Soho’s Old Compton Street, however those who have been are frequently torn between wanting to shout about it from the rooftop and keeping it as a close, well-guarded secret. With cocktails under the care of Godfather of Molecular Mixology, Tony Conigliaro, and coffee served by Marco Arrigo, head of quality for Illy, this little slice of a Italy is a delight to visit. Drinks are strong, grown-up and deftly debonair, and have won them not only a coveted place on the World’s 50 Best Bars Awards 2017’s list, but also the title of Bar of the Year at Time Out’s London Bar Awards 2017. Droll though it might be, no one is capable of forgetting the happiness that they feel on their first visit to this tiny, multi-award-winning basement bar on Hoxton Square. Owner Alastair Burgess’ refreshingly uncomplicated approach to bars and maxim of “great cocktails, no wallies” means that it has become a firm neighbourhood favourite whose following belies its humble footprint. Drinks on offer are simply good, with phenomenal care given to their creation, friendly staff and a surprisingly painless price-point. Oriole is the second bar from Nightjar’s Edmund Weil, which opened at the end of November 2015 to much excitement. 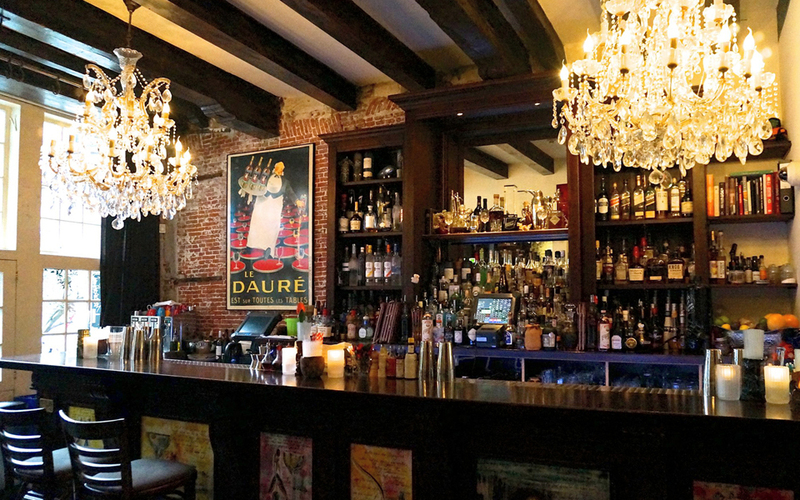 Styled after an old-school nightclub with a stage throwing forth swinging jazz and foot-stomping blues, there is never a dull moment at this gem of a bar. The cocktails themselves are a wonder to both behold and imbibe, with a menu inspired by historical adventure and travel, using elements from the “Old World, New World and the Orient”. 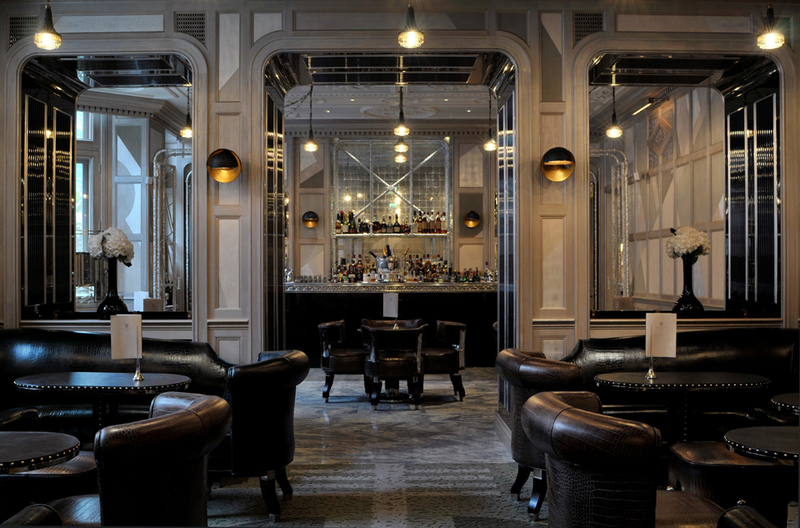 Edwardian-meets-prohibition may be the best way to describe the Old Street cocktail bar. 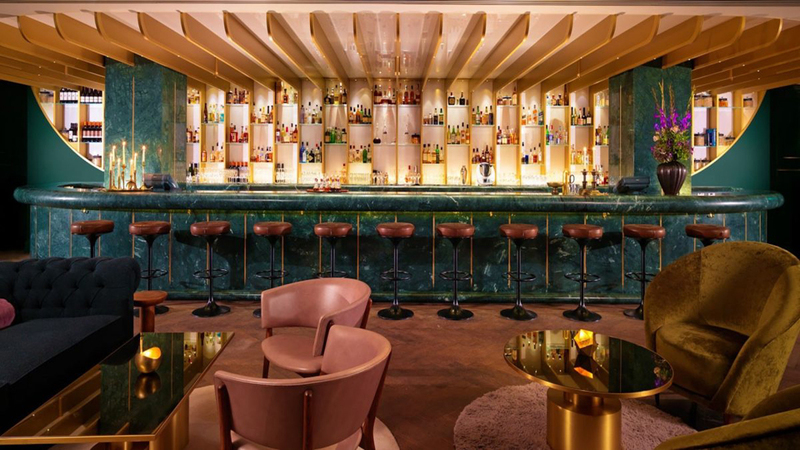 Headed by two of London’s leading bartenders, Marian Beke, formerly of Nightjar, and Rusty Červen, ex-mixologist at The Connaught Bar, the duo set up their own spot to champion the classic Gibson cocktail. (a variant on a Martini, made with gin, vermouth and an onion). The interiors are intimate and swish, and play home to a range of Gibsons, as well as some truly bizarre and intriguing drinks. 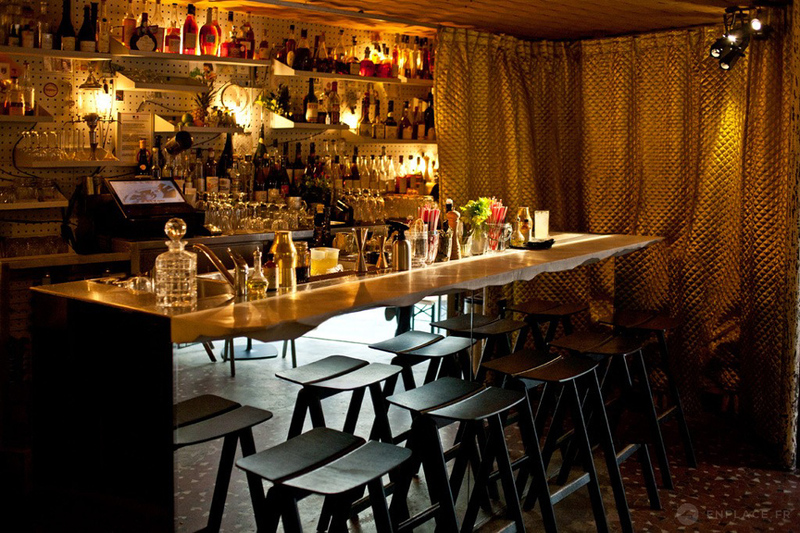 A wonderfully different and peculiar bar that will bring a smile to your face. Since this beauty has already been mentioned in two other slots above this one, its already clear the calibre of drinks and staff that are produced at the Nightjar. A glorious jazz bar and household name within the industry, a night in the jar has been a safe bet since the basement venue opened in 2010. Ever-inventive, quirkily served and full of at least a handful of ingredients that most will never have heard of before, cocktails here are a must. Not a bar, but he certainly belongs somewhere on this list. A rare mix of abundant affability, humility and obscene amounts of talent, Iain Griffiths is a world class bartender and the business manager “of all this Lyan”. 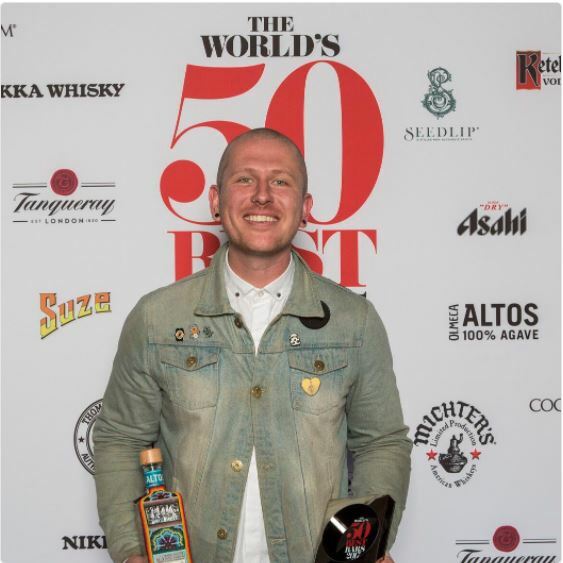 Having been behind a number of multi-award-winning bars and championing sustainability within the drinks industry, Iain is a familiar face on the scene and his flair for what he does means that no one could be surprised that he was chosen as World’s 50 Best Bars Awards 2017’s Bartender’s Bartender. As its name might suggest, Black Pearl is a rare gem. Whilst its home is in Melbourne, the team recently came over for a London Cocktail Week one-night takeover of Ryan Chetiyawardana’s (a.k.a. Mr Lyan) Super Lyan. Mad as hatters, big on humour and brilliant at booze, these guys made a pretty speedy impression on us! Their venue in Melbourne is a bartender’s bar. Hip in an entirely unforced way, the vibe is chill during the week, and raucous at the weekends, with creative cocktails and a good crowd. Definitely one to visit if you’re in Melbourne. We were just about to write, “headed by Remy Savage, voted Most Imaginative Bartender in the World in 2014”, but then the news broke that Remy will be joining the famous Artesian at The Langham, London. 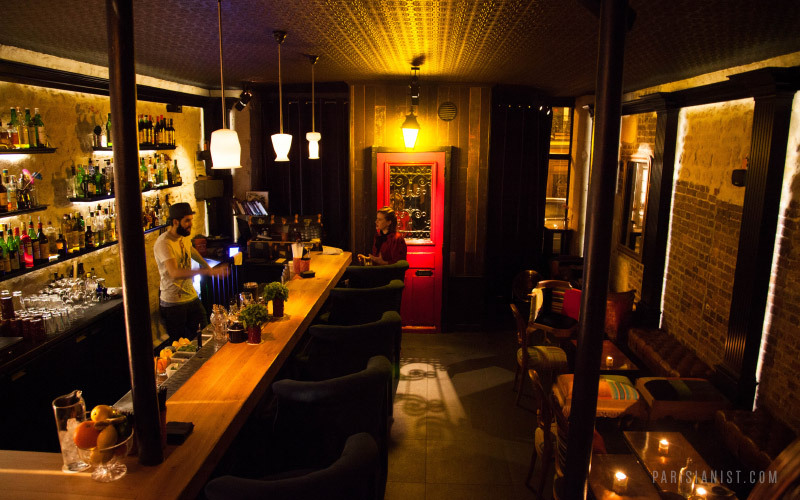 Nevertheless, Little Red Door in Paris will undoubtedly remain one of the French capital’s best cocktail bars. A striking, miniature red door (which you are not expected to crawl shoehorn yourself through) announces the entrance. 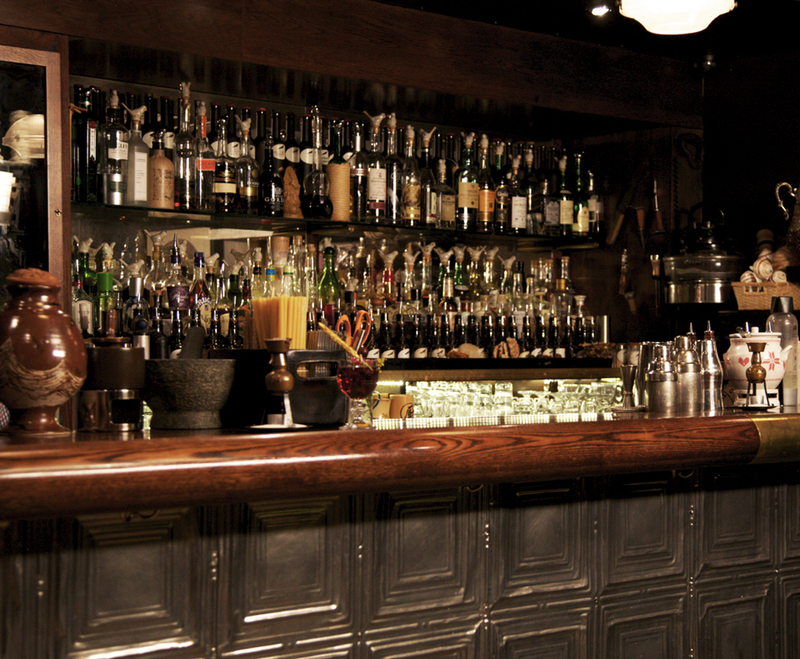 The space itself is stylish and low-lit, with exposed brickwork and dapper bar staff. Cocktail menus are scholastic and deserve their international acclaim, with the current Applied Architecture Menu formed after Remy took a 150-hour course in the practice at Oxford – one drink of which was presented at Top Guns at Oblix in The Shard this London Cocktail Week and was certainly worth the effort! Another of our favourite Parisian haunts (read our review here), we’re delighted that this made the list. The brainchild of Sullivan Doh and cocktail blogger, Romain Le Mouellic, it is a celebration of all things French, stocking only French spirits and creating inventive tipples and classic drinks with a decisive French twist. The venue itself is seedy-looking from the outside and has that wonderful obscurity of appearing to be closer kin to a trendy, pop-up exhibition private view than a world class bar. Another bartenders’ bar and a great reason to go to Amsterdam. 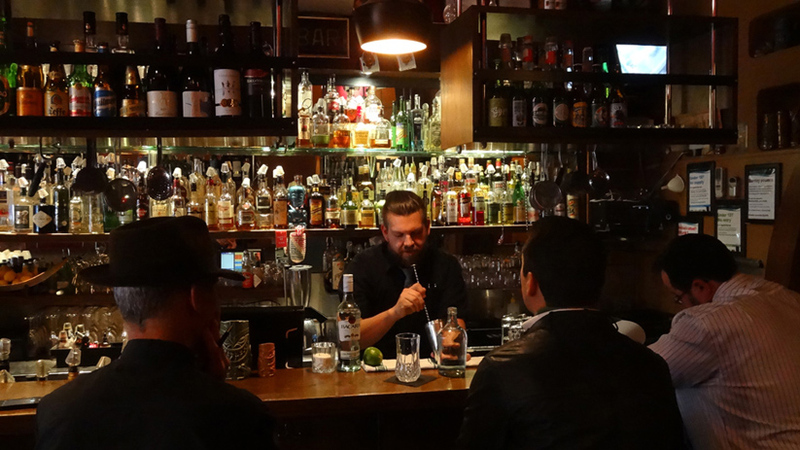 Located in the heart of the Red Light district, with drinks created and served by friendly and knowledgeable staff, Tales & Spirits is a true pleasure to visit. Founders Lydia Soedadi and Boudewijn Mesritz have created an incredible bar with well-presented drinks and a neighbourhood vibe. The team visited our shores for London Cocktail Week 2017, taking over the much-loved Satan’s Whiskers in Bethnal Green for a night and delivering a selection of fantastic Woodford Reserve bevvies including one served in a ketchup bottle and another accompanied by a toy car. Needless to say, they’re not the demure or bland types. Dapper tenders dressed in white jackets embroidered with the title “Principal Bartender”, overhead luggage racks and old school classic cocktails: Employees Only is straight out of the Golden Age. We recently came across the team at London Cocktail Week where they took over industry hangout, Three Sheets in Dalston, and were blown away by their charm and quality Old Fashioneds. Barcelona’s best kept secret: Paradiso is a pastrami bar – yes, you read that right – that hides El Paradiso, a cocktail bar that, reminiscent of Major or Scaredy Cat Town, you access through a fridge. 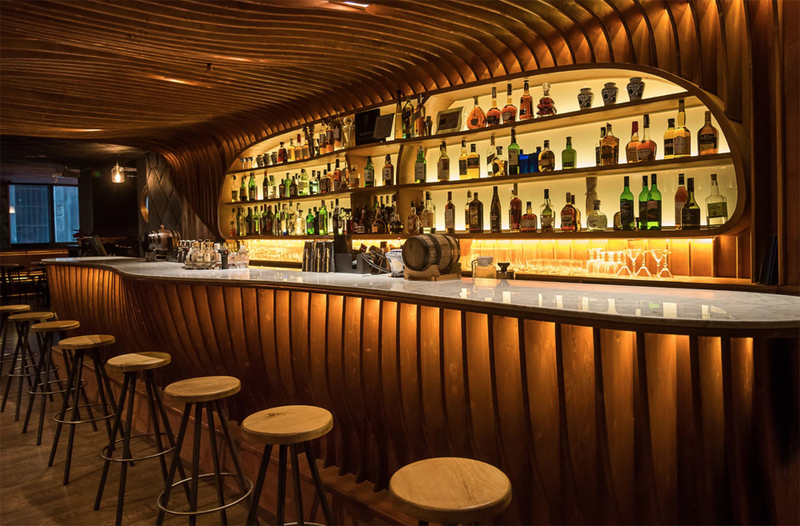 The speakeasy is truly beautiful, with a wooden slat bar that curves to cover the ceiling and high-gloss white marble bartops. Drinks are excitingly baffling, including options such as re-distilled whiskey, where barrel-centric parts of the spirit are separated and used to make tea sorbet. We understand why they’re the one to watch.